(Witness) Birth Ruth Alice Helen Fair witnessed the birth of Clarence Mathias Fair on 26 October 1913. 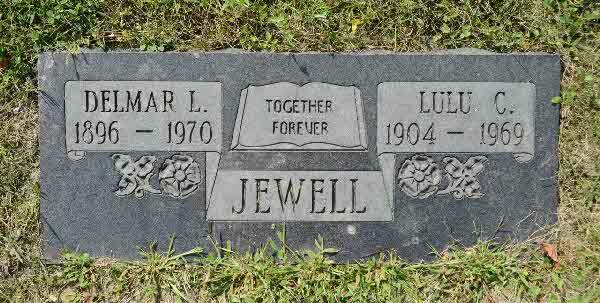 Death* Vera Lauretta Fair died on 29 December 1969 in Bagshaw Cemetery, Brock Twp., Ontario County, Ontario, Canada, at age 75. 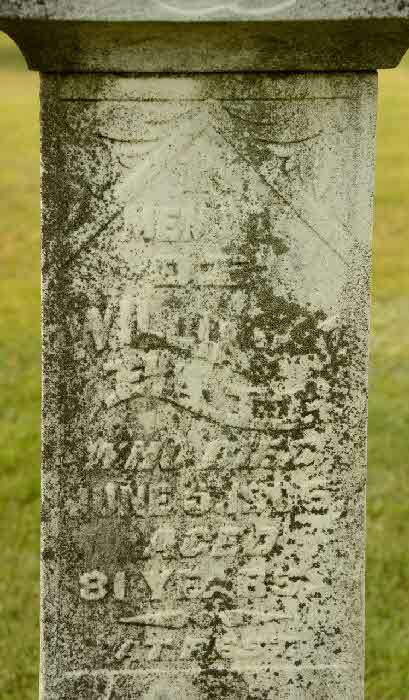 Burial* He was buried in St. Peter's Cemetery, Peterborough, Peterborough County, Ontario, Canada. Burial* He was buried in St. James West Brock Cemetery, Brock Twp., Ontario County, Ontario, Canada. [S1] Ancestry.ca, online \Ancestry.ca\, Porter Mitchell Family Tree. Hereinafter cited as Ancestry.ca. Death* Annie Ivy Farrell died on 6 August 2012 at age 89; SHIER, Annie Ivy "Ivy" - (Former Member of St. Mary of the Virgin, Altar Guild, Toronto) Peacefully, on Monday, August 6, 2012 at the Markham-Stouffville Hospital-Uxbridge Site, in her 90th year. 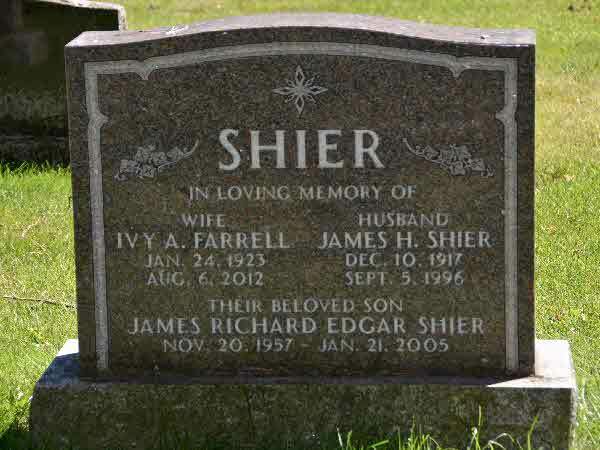 Ivy (nee Farrell), beloved wife of the late James Shier of Sunderland and the Uxbridge area. Loving mother of Katherine Greenfield of Ajax and the late James "Rick" Shier of Toronto. Loved grandma of Vanessa and Brayden. Ivy will be fondly remembered by her friends Anne and Dennis, Michael and Paul. 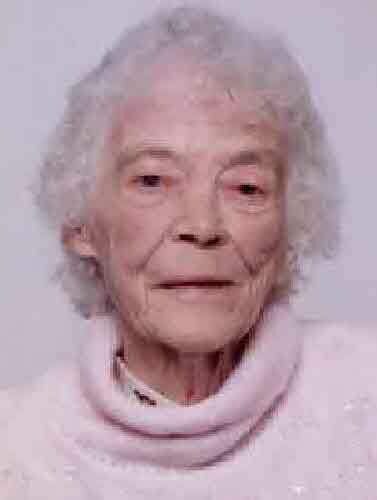 The family of Ivy Shier will receive friends at the WAGG FUNERAL HOME "MCDermott-Panabaker Chapel", 216 Queen Street, in Port Perry (905-985-2171), on Thursday, August 9th from 2-4 and 7-9 p.m. A Service to Celebrate her Life will be held in the Chapel on Friday, August 10th at 11 a.m. Interment Hillman Cemetery, Utica. If desired, memorial donations may be made by cheque to a charity of choice. Memories and condolences may be shared at www.waggfuneralhome.com. 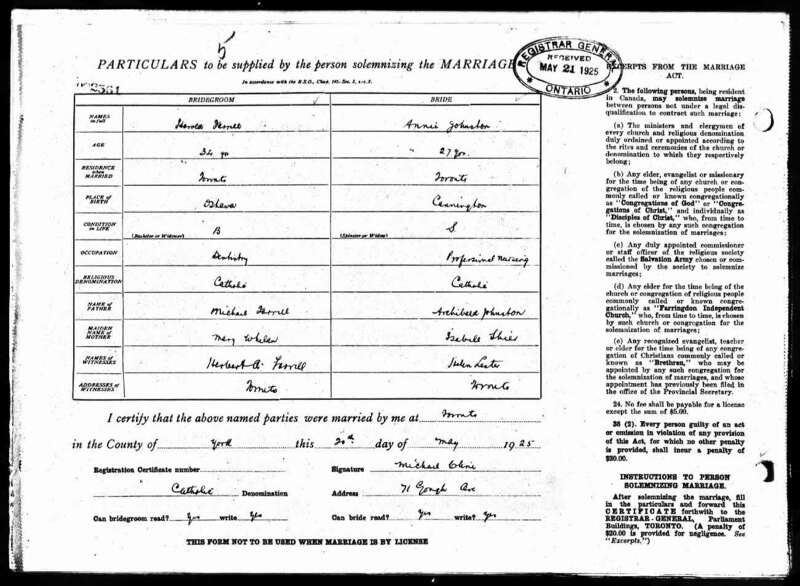 Marriage* He married Annie Isabel Johnston, daughter of Archibald Johnston and Isabella Shier, on 20 May 1925 in Toronto, York County, Ontario, Canada. 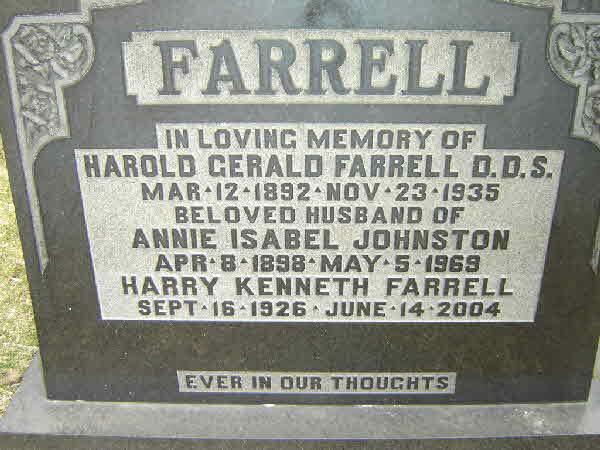 Death* Dr. Harold Gerald Farrell died on 23 November 1935 in Toronto, York County, Ontario, Canada, at age 44. 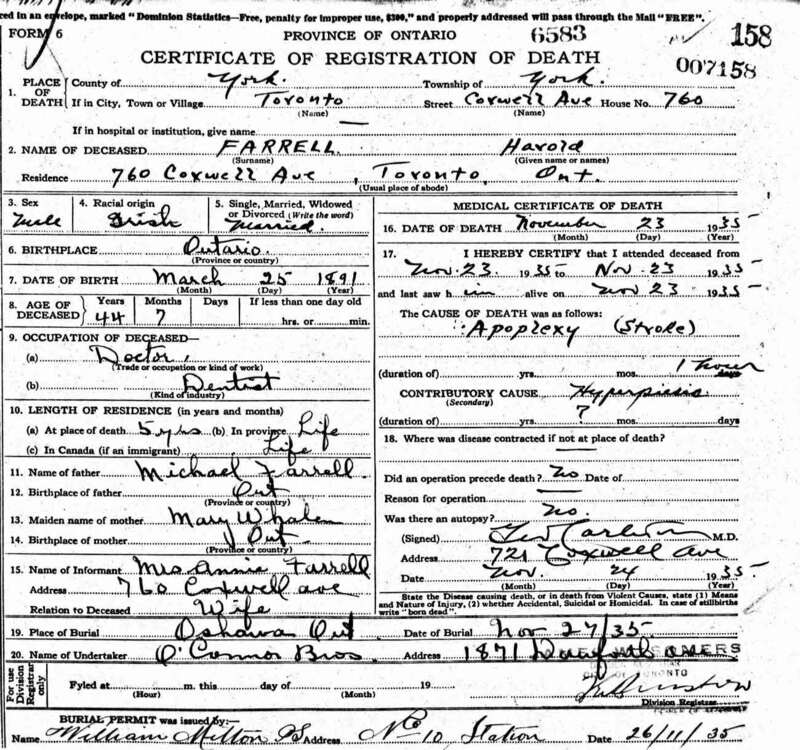 [S108] Ontario Roman Catholic Baptisms, Marriages, Burial, online \, Baptism of Gerald Harold Farrell. 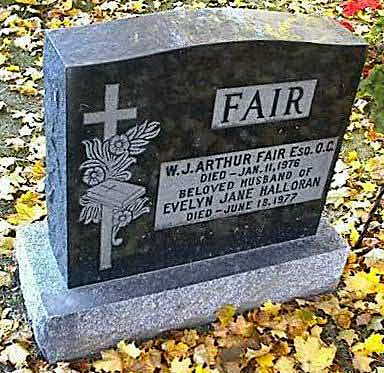 Death* Lila Letitia Farrow died on 26 January 1911 in Lot 13, Conc. 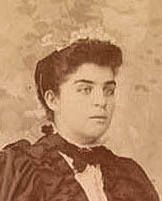 7, Brock Twp., Ontario County, Ontario, Canada, at age 23. 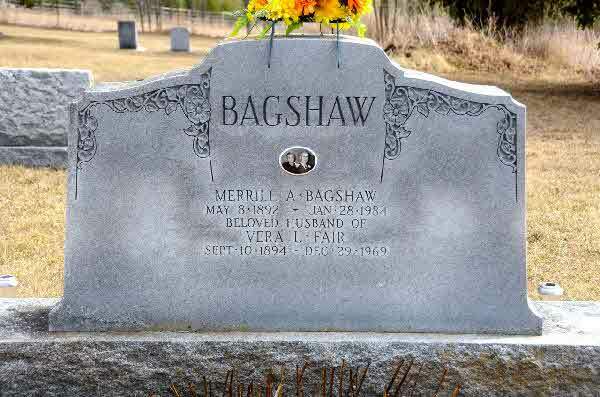 Death* She died on 1 March 1921 in Hamilton, Wentworth County, Ontario, Canada. 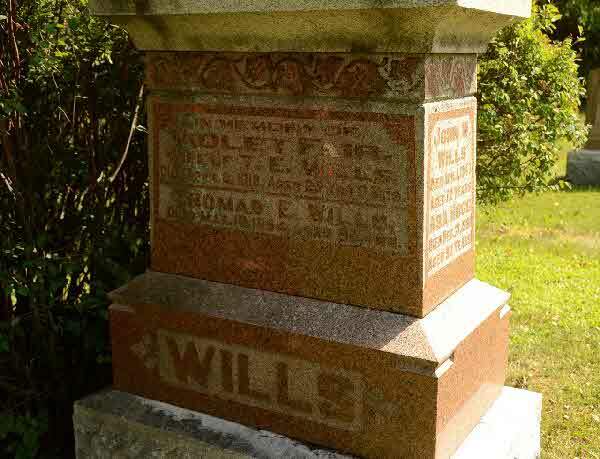 Death* Phoebe Ida May Matilda Faulds died on 1 March 1921 in Hamilton General Hospital, Hamilton, Wentworth County, Ontario, Canada, at age 42.